UNHCR's country operation receive sufficient support in the ﬁeld of livelihoods, thus better able to meet the needs of persons of concern. Support the completion and rollout of e sustainable livelihoods strategy and provide technical guidance on the design and implementation of livelihood programmes. Provide technical assistance to the development of UNHCR‘s and IP's livelihoods projects within the framework of an approved strategy. Develop a system of monitoring and keeping track of the progress of project implementation to measure the impact on the well-being of refugees. Promote cooperation with national institutions, including the Social Development Fund, in supporting income generation activities and access to microfinance for refugees. 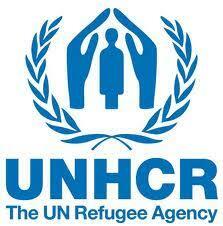 Review project propels submitted by partners in line with UNHCR Policies and guidelines. Maintain updated information on issues and policy changes that may affect livelihood opportunities for refugees. and ongoing measures by the Government and other institutions that can affect or contribute to the achievement of strategic goals for refugee livelihood. Administration, Social-Economic Development, Rural Development, Financial Management or other related fields. Technical competencies in sub-sectors relevant to livelihoods programming e.g. microfinance, employment, entrepreneurship, private sector development, local economic development, poverty reduction, agriculture, livestock, vocational and technical education, and training, etc.